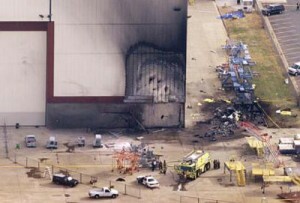 The scene of the crash of Air Midwest Flight 5481. 2003 – Air Midwest Flight 5481 crashes on departure from Charlotte-Douglas International Airport, killing all 21 on-board. 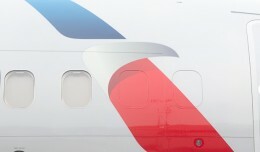 Operating for US Airways, the Beechcraft 1900D (registered N233YV) had received faulty maintenance on the elevator cables, resulting in the inability of the flight crew to control the aircraft, leading to a stall. 2003 – Turkish Airlines Flight 634, an Avro RJ100 (registered TC-THG) crashes on approach near Diyarbakir Airport in Turkey. 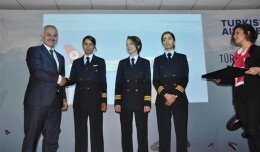 The approach was being shot in heavy fog, and there were only 5 survivors among the 80 people aboard. 1996 – A Moscow Airways Antonov AN-32B (registered RA-26222) being operated by Air Africa, crashes at N’Dolo Airport in Kinshasa, DR Congo. The aircraft had difficulty building airspeed and went off the end of the runway and into a street market, where about 350 people were killed. 1994 – The Russian Soyuz TM-18 is launched, bringing cosmonaut Valery Polyakov to Mir for a record time of 437 days in space. 1989 – British Midland Flight 92 crashes while attempting an emergency landing at East Midlands Airport, killing 47 of the 126 on-board. 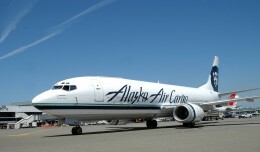 The left engine had experienced a fan blade rupture on the Boeing 737-400 (registered G-OBME), and confusion with previous 737 models caused the pilots to think the right engine had failed, which they promptly shut down. While on approach, power was added to the ailing left engine, causing it to completely fail, and the aircraft to subsequently fall short of the runway onto the M! motorway. 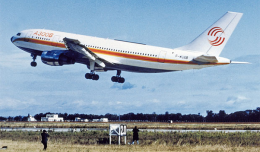 1982 – The Airbus A300 becomes the first widebody aircraft to be certified to be operated by a flight crew of two. 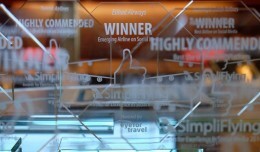 The Annual SimpliFlying Awards for Social Media Excellence were held last Friday in Brooklyn, NY. Take a look at who was recognized and what they have done.